Claves de la política exterior de Azerbaiyán. Entrevista a Peter Tase. Consultamos al experto en Peter Tase, observador de la actualidad en Eurasia, para que pueda contarnos de algunas claves de la política exterior de Azerbaiyán. 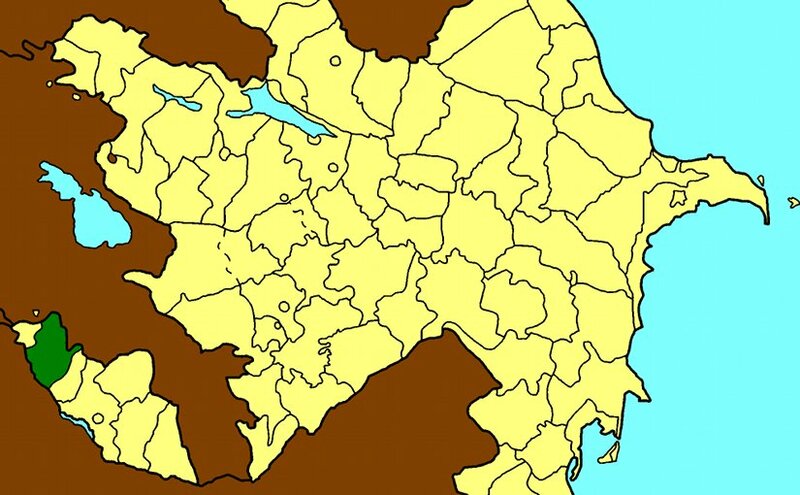 De origen albanés, Peter Tase repasa los sucesos de la agenda mundial y el impacto en la región del Cáucaso, en Azerbaiyán. La situación de conflicto con Armenia por los territorios ocupados de Nagorno-Karabaj y el factor de la “diplomacia cultural”, el soft-power de la diplomacia de Bakú. Primeramente, nos gustaría preguntar por el contexto global, que está marcado por la “era Trump”. ¿Puede Ud. comentar si las decisiones del Presidente Donald Trump, si las fricciones que pueden verse que continúan con Rusia o la reciente crisis diplomática en el Golfo, han afectado a la estabilidad de la región del Cáucaso? Peter Tase: Para responder este punto podría tomar un punto de partida que ayuda a brindar un contexto; Heydar Aliyev, quien es el líder nacional y figura política simbólica de la Republica de Azerbaiyán, ha logrado en la década de 1990 el fortalecimiento de las relaciones bilaterales entre Bakú y Washington. Dichas relaciones siguen firmes, se han ido consolidando e incluso puedo decir que hoy son intensas. La visita a Bakú de Ray Mabus, Secretario de Fuerzas Navales de Estados Unidos, el 7 de noviembre del 2015 es un evento relevante, que actualiza una hoja de ruta para la cooperación militar entre ambas naciones. En dicha ocasión el Secretario Ray Mabus mantuvo una reunión con el Presidente Aliyev y las autoridades del Ministerio de defensa de Azerbaiyán. Durante este año, la seguridad y la paz en la región del Cáucaso han llevado preocupación a la Casa Blanca. El conflicto bélico provocado por Armenia en el suelo soberano de Azerbaiyán es un problema candente; donde las Fuerzas Armadas de Armenia, frecuentemente emprenden acciones armadas en contra de la población civil en la línea del contacto y atacan brutalmente – con armamentos de gran tamaño – a las posiciones de las Fuerzas Armadas de Azerbaiyán; violando en esta manera a las leyes y tratados internacionales, vulnerando las resoluciones aprobadas por el Consejo de Seguridad. Algo que representa una desvalorización de declaraciones oficiales y la labor diplomática de gobiernos de numerosos países de peso pertenecientes al mundo occidental. Map of Azerbaijan showing Sharur Region. Source: Wikipedia Commons. 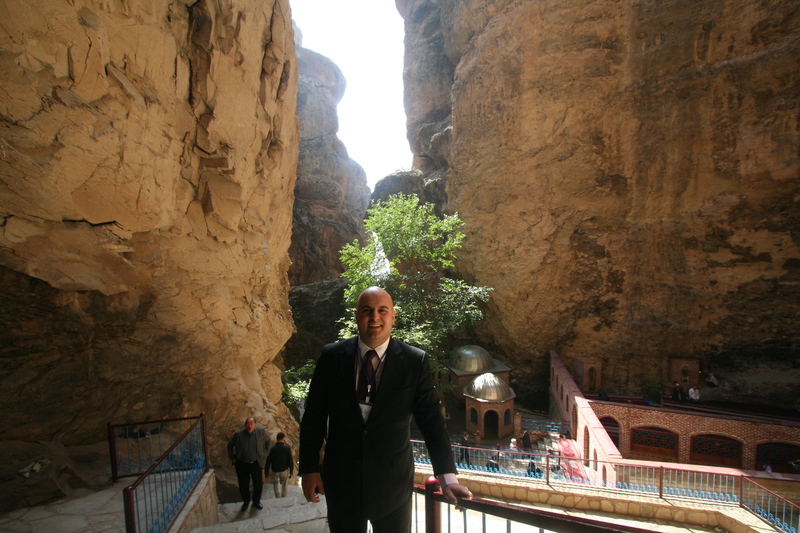 As the Nakhchivan Autonomous Republic (Azerbaijan) is preparing to be the world’s principal hub of Islamic culture (in 2018), a number of archeological monuments have facilitated a growth of various sectors such as cultural tourism, archeological expeditions, sustainable economic growth, it has concurrently expanded the knowledge about ancient history to many international experts. All of these remarkable accomplishments are taking place in a vulnerable region where peace and security have a corroded resilience while Nakhchivan Autonomous Republic has been faced with an economic blockade imposed by Armenia, over the last twenty years. Despite these challenges the Government of Azerbaijan and the Autonomous Government of Nakhchivan under the leadership of Chairman Vasif Talibov (chairman of the Supreme Assembly of Nakhchivan) has pursued a vibrant diplomacy with other neighboring nations, admirable urban development, public works and a meticulous attention to education infrastructure and curriculum development evident on all education levels. All of these achievements have made Nakhchivan a region of Azerbaijan that has set a perfect example that could be emulated by other countries in Europe and Central Asia. 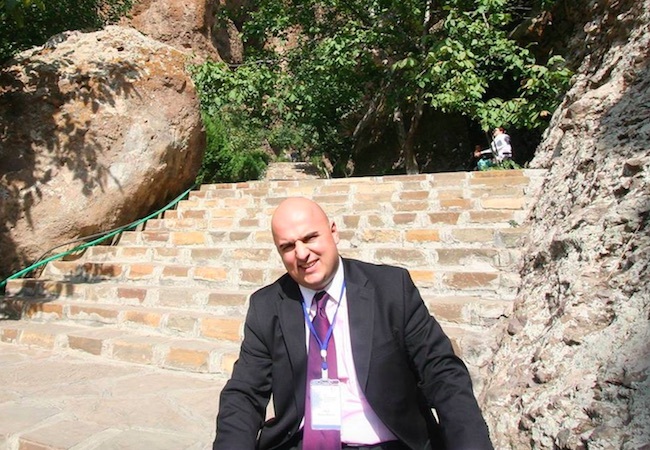 News.Az interview Peter Tase, a political analyst, Former Adviser (pro-bono) on International Affairs of the President of Paraguay, Dr. Federico Franco Gomez (2012-2013), adviser to Dr. Franco, when he was Vice President of Paraguay (2010-2012). In the recent years we have seen increased cooperation levels between Azerbaijan and the Latin America and Caribbean countries, unlike never before. What are your thoughts about the prospects of these bilateral ties? One of the largest economies of South America is the Republic of Argentina. Baku established its diplomatic relations with Buenos Aires on November 8th, 1993 and twenty months earlier Argentina had recognized the independence of the Republic of Azerbaijan. For more than twenty years there has been an excellent bilateral cooperation between the two nations. The opening of the Embassy of Azerbaijan in Argentina, on 2010, is an important milestone for the strengthening of the bilateral relations. Under the leadership of Minister Hon. Elmar Mammadyarov and Ambassador Mammad Ahmadzada, tremendous progress has been made in various areas such as bilateral trade, economic cooperation, political support in multilateral organizations, exchange of experiences on tourism infrastructure as well as implementation of successful projects on university education and cultural diversity. On July 3rd, 2012, Baku welcomed Argentinean Foreign Minister Hector Timerman and more than 240 business leaders from many regions of Argentina. In 2008 the commercial relations of Argentina and Azerbaijan extended up to US$ 17,8 million and in 2011 it had grown to US$34,6 million. The major products that are exported from Argentina to Azerbaijan are: Sugar Cane, Soy bean oil and flour from other grains, pharmaceutical products, dairy products, peanuts, tobacco and citrus. On July 26, 2012, Azerbaijan’s Foreign Minister visited the San Martin Palace in Buenos Aires in order to meet with his Argentinean counterpart. This visit was very important to strengthen the two decades long partnership with the South American nation as well as participate in the business Forum of Argentina and Azerbaijan with the participation of some of the most prestigious business leaders and corporations from Azerbaijan. Argentinean authorities have recognized in many occasions the impressive economic growth of Azerbaijan, tremendous growth of the Gross Domestic Product (GDP), Baku’s war against poverty and economic reforms which have enabled an increase of the average salaries by almost nine times and the banking sector is very reliable. The current economic stability and constant growth make Azerbaijan an attractive and a reliable trade partner for Argentina and to other Latin American countries. Argentina is the largest natural gas producer of South America and is a significant crude oil exporter to Chile and USA. In 2011 Argentina exported just over 60,000 bbl/d of crude oil, while experiencing a decline from the previous year due to a high domestic demand and low levels of production. Petroleum engineering is one of the strengths of Azerbaijan’s economy, in this context both countries can benefit from exchanging research and development information, cutting edge technology and establish mutual human resources training programs for the energy sector. Argentina is the top producer of natural gas in South America and has one of the world’s largest reserves of shale gas; however its output has declined over 10 percent from its highest levels reached in 2006. Azerbaijan has a sophisticated technology in the construction of gas pipelines; such an experience can be beneficial to Argentinean authorities in order to reduce possible losses and the cost of transporting natural gas throughout its territory. The large companies of Azerbaijan should explore investment opportunities with Argentina’s state owned energy company and initiate new projects focused on off shore drilling under the sea bed located on Argentinean territory. Another important area of bilateral cooperation is on Defense Industry, Military training and technology. I am confident that Argentinean Armed forces will learn the best practices on warfare, rescue operations and management of low intensity operations, from their Azerbaijani counterparts who have shown great leadership skills in crisis management in Afghanistan, Iraq and other hot spots of the world. What can you say about the potential directions of trade and economic relations between Azerbaijan and this vast region? Since the proclamation of its Independence in October 1991, the economy of Azerbaijan has attracted over US$190 billion of Foreign Direct Investments (FDI), it is 38 times more than the total amount of FDI in Paraguay during the same period. The current foreign exchange reserves of Azerbaijan maintain a level of USD 53 Billion. Based on current investment statistics of January – September, 2014, the total FDI in Azerbaijan’s economy is AZN 3.517 billion, it increased by 17.9 percent compared to the same period in the previous year. There is a great potential of strengthening the economic and commercial relations between Azerbaijan and the major economies of Latin America. The visit of Minister Elmar Mammadyarov in the Republic of Peru, on August 2, 2012 was important to strengthen the commercial ties between both countries. The chief of Diplomacy of Azerbaijan met with the President of Congress of the Republic of Peru, Victor Isla Rojes, in their discussions the economic and trade relations where part of the bilateral agenda. Peru is an ideal consumers market to import high quality food products from various large companies from Nakhchivan, such as “Lezzet Food Industry” and Sirab natural and mineral water products, originating from the high mountains of the Kalbaagıl valley in the region of Nakhchivan. It must be noted that Azerbaijan and Peru have a friendship committee in the National Congress of Peru. How would you identify each Latin America country in terms of their strategic interest and cooperation with Azerbaijan? We know that each country has its own economic and political particularities. Most of the Latin American countries have open economies, abundant natural resources and a stable fiscal policy. However some of these countries have many obstacles towards fighting poverty, corruption, organized crime and embrace environment friendly policies. This is a region where Azerbaijan can share its success story and recent reforms that have led to significant reduction of poverty levels and its successful outcomes in the justice system which have enabled the government of Baku to successfully address the fight against crime and corruption. Another critical area in the region is also the lack of infrastructure projects and sustainable education reforms which guarantee a well-educated workforce. The experience of Azerbaijan on these areas would be very valuable to many South American nations, such as Bolivia, Paraguay, Guyana, Suriname and Venezuela. Azerbaijan is the biggest economy in Southern Caucasus, but there is definitely a lack of information of its economic potential in the distant region of Latin America. How to resolve this challenge? Embracing a pragmatic Foreign Policy and a dynamic economic diplomacy is the best way to reduce geographic distances. A success story is the bilateral cooperation between the government of Mexico and Azerbaijan. In 2007, the government of Azerbaijan opened its embassy in Mexico City and the bilateral relations of both countries have been strengthen thanks to the leadership of Ambassador Ilgar Yusif oglu Mukhtarov who has led an important initiative to secure the approval of a resolution by both chambers of the National Congress of Mexico on November 4th, 2011. Such a resolution commemorated the tragic events of February 26, 1992, a date when “Armenian armed forces launched attacks on the civilian population in the Khojaly district of Azerbaijan and killed 613 Azerbaijanis, including women, children and elderly men, and conducted ethnic cleansing”. 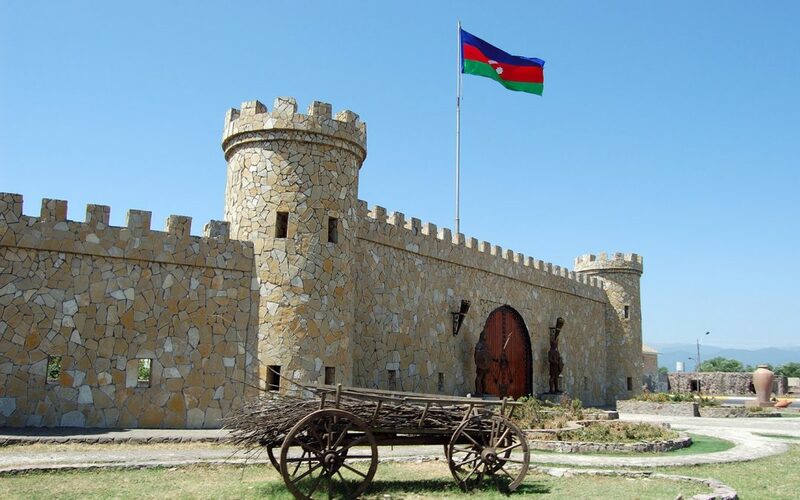 On the other hand I strongly encourage the government of Paraguay, one of the two landlocked countries of South America, to open its embassy in Baku in order to strengthen the commercial, political and cultural relations with the most important economy of the Caspian region. Both nations are landlocked and can politically support each other in the World Trade Organization, the World Tourism Organization. Additionally, Azerbaijan can assist the government of Paraguay to become a member of the Community of Democracies which is currently led by the Government of El Salvador. During the last year, the Paraguayan Foreign Ministry led by Amb. Eladio Loizaga is pursuing a strategy of self-isolationism and it closed its only embassy in South East Asia, located in Jakarta, Indonesia. The most interesting fact of this entire saga is that the presidential decree which closed the Embassy of Paraguay was signed by President on the day when a large business delegation from Indonesia was closing a business deal with Paraguayan partners in Asuncion. A few days later, the government of Paraguay decided to re-open its embassy in the Dominican Republic, a country which has almost the same production matrix just like Paraguay and therefore there will be a very limited potential for commercial and economic cooperation among the two countries. Asuncion must learn how to participate and have more leverage in a globalized and ever more interconnected world, its foreign policy leaders and decision makers must review closely the successful practices led by the Government of Azerbaijan in the application of economic and cultural diplomacy and above all learn from the recent application of Azerbaijan’s dynamic foreign policy throughout the globe. The current cultural diplomacy initiatives of Azerbaijan, taking place in Latin America are very effective, I am confident that it will bring many positive and exciting results in the years to come. The Foreign Ministry of Azerbaijan is perhaps one of the most effective executive government offices in Central Asia.